Android Developer Monthly: Android Studio 3.2 Beta, GitHub, and VR, oh my! Hello and welcome to the third instalment of Android Developer Monthly! This post will share all the news covered in the newsletter. This month saw the release of Android Studio 3.2 beta, fallout from Google I/O, Microsoft’s purchase of GitHub, plenty of new dev content right here at AndroidAuthority.com, and more. Never a dull moment! You’ll find everything you need to know right here as well as the usual selection of tutorials, open source projects, discussion, and tips. Have at it. How to Create a VR app for Android in Just 7 Minutes – VR is still finding its footing but is nevertheless poised to take off on Android in the near future. Video and post. Build your own Action for Google Assistant – This post explains how to add actions and features to your Google Home device. The only limit is your imagination! Android P’s Multi-Camera API will allow for more creative camera apps from devs – One of the new features announced at Google I/O was support for multiple cameras or lenses. Learn what that means for devs and users. Root Android: Everything you need to know! – Rooting your device will give you super user privileges, allowing you to remove bloatware, use cool apps, and more. This is a useful concept to get to grips with as a developer, especially if you plan on building a root app! Scheduling background tasks with Jetpack’s WorkManager – Handling background tasks is an important aspect of Android app design. There are plenty of ways to do this, but WorkManager presents a compelling option for many reasons. 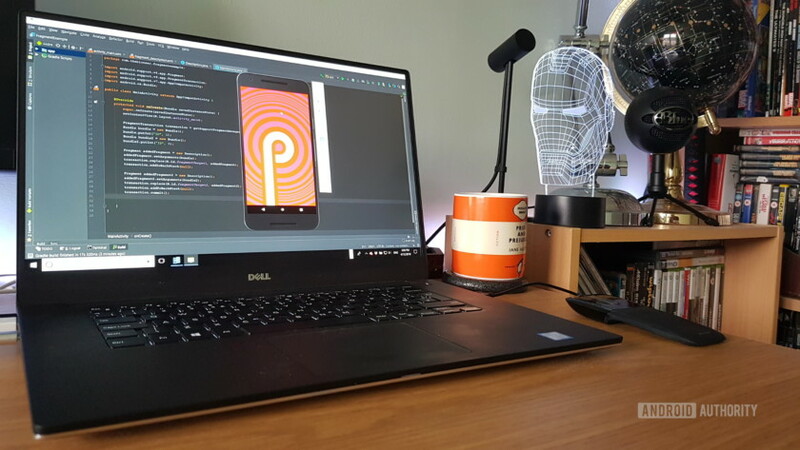 Exploring Android P’s slices: Creating interactive and dynamic slices – Another exciting new feature for Android devs to get to grips with: slices are snippets of app content that are displayed outside the application, creating a huge number of new possibilities. Hello World in Android development: Your first ever (really easy) app project – For absolute beginners: when learning any new programming language or platform, the first thing you need to do is create an app that prints ‘Hello World’ to the screen. Why? It’s tradition, that’s why. Learn how to continue said tradition on Android here. How to enable Developer Options on your Android device – One of the most fundamental tricks you’ll need to learn if you plan on becoming an Android developer! Android Studio 3.2 Beta – Developers can now download Android Studio 3.2 Beta, which brings a number of new things to the table, mostly revolving around those Android P features revealed at Google I/O. That includes the Android App Bundle format, Android Jetpack and more. Microsoft to acquire GitHub for $7.5 billion – You’ve likely heard by now, but earlier this month Microsoft closed the deal to purchase GitHub. The company blog of course paints this as a great opportunity to accelerate GitHub’s growth and ‘empower’ developers. GitHub rivals see code influx after Microsoft buyout – Meanwhile, those same developers are moving to other platforms like GitLab. Though this isn’t quite the mass exodus that some would have you believe. Google admits it lost out to Microsoft buying GitHub – And apparently Google is none-too-happy either. Launching the Indie Games Accelerator in Asia – helping gaming startups find success on Google Play – Indie game developers from select countries across Asia are invited to apply for Google’s new indie games accelerator initiative. Successful participants will be invited to attend two all-expense-paid gaming bootcamps at the Google Asia-Pacific office in Singapore, plus more. Applications must be made by 31st July 2018. Building simple and effective login forms on Android – A tutorial for creating attractive and effective login forms using custom views. Android Interview Questions Cheat Sheet – Got an interview coming up for an Android dev gig? This cheat sheet will help you to ace it. You can also find part 2 here. NiceImageView – A library for creating icons from images and contacts that can be used in chat apps and elsewhere. Lazy Keyboard – A security keyboard that will let you implement three types of layout: letters, numbers, or symbols. Great for entering passwords etc. Sorcerer – An app written in Kotlin that makes a visual profile from your GiHub!